The following is reposted from e-patients.net. 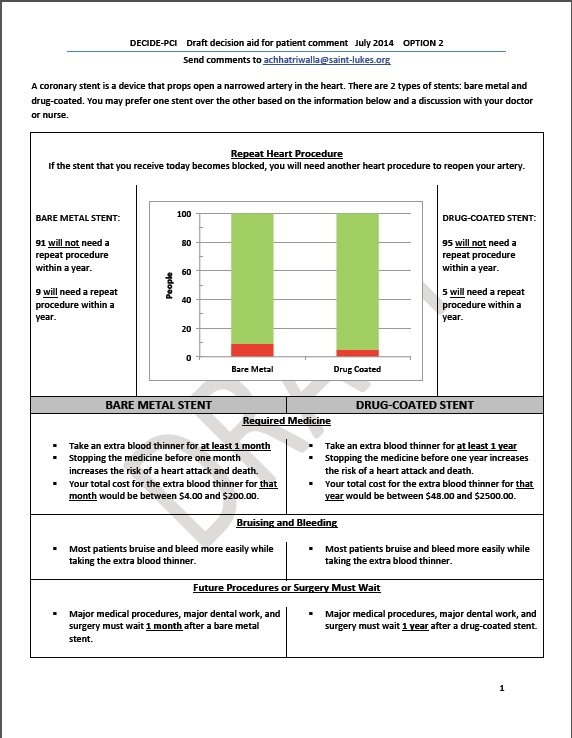 The American Heart Association journal Circulation: Cardiovascular Quality and Outcomes has announced a new Patient or Caregiver Viewpoint section in the journal. Viewpoints will be authored by patients or their caregivers and will discuss the patient’s experience of heart disease, stroke, or other cardiovascular disease and their interactions with the healthcare system. The first Viewpoint, by a heart disease patient, discusses how he experienced interactions with his physicians over whether he should start a blood pressure medication and his thoughts on how physicians and patients could work together in a manner consistent with the patient’s values and goals. Viewpoints will contain a minimum of medical jargon and will be freely accessible to the public. The journal hopes to make these articles a regular feature. If you are a patient living with or at risk of cardiovascular disease, or a friend or family member of such a patient, please consider submitting a Viewpoint. Instructions for authors are posted on the journal’s website. The study is in the beginning phase, and the researchers are engaging patients in focus groups to better understand what factors are most important to them in choosing a stent. The focus groups will also involve asking patients how they prefer the information to be presented (e.g., in words, graphs, some combination of the two, and so forth). 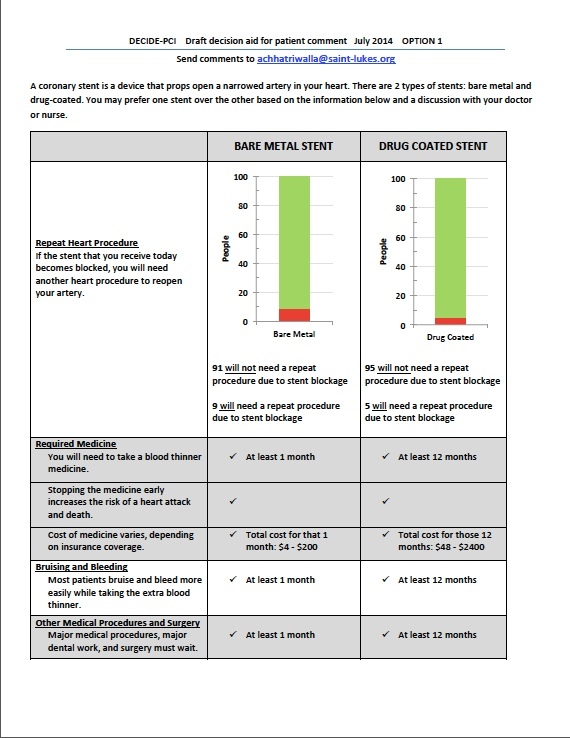 Later, the decision aid will be tested at two hospitals to see if it improves patient understanding and satisfaction, and if the use of the decision aid changes the percentages of bare metal stents and drug-eluting stents received by the patients. Dr. Chhatriwalla is very interested in getting feedback from patients and others on the current drafts of the decision aid (two different versions) and has asked SPM to help circulate them. You do not need to be a heart disease patient to participate — the researchers are interested in a wide range of viewpoints. Please take a look at both of them (posted below) and send your comments to Dr. Chhatriwalla at achhatriwalla@saint-lukes.org. I have a post up on the Assessment 2020 blog on how to increase patient involvement in medical decision making. I focus on shared decision making and argue that physicians need to develop certain competencies in order for the use of shared decision making to become routine and how certain structural changes can facilitate the process. Please read and add your comment! Thank you Regina Holliday, for painting this beautiful jacket!